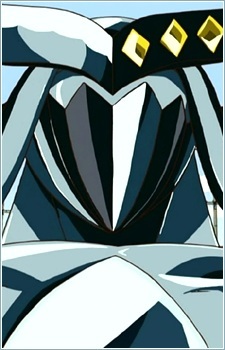 Azekura is the holder of the deviant blade Yoroi, which actually takes the shape of armor. He obtained the armor from a pirate band that killed his younger sister and took him to be their servant boy. He took the armor and exacted revenge on them, and then became the leader of a band of pirates himself. He wanted to make Togame his woman because she resembles his dead sister. He is the first of the blade holders Shichika fights whom he does not kill.